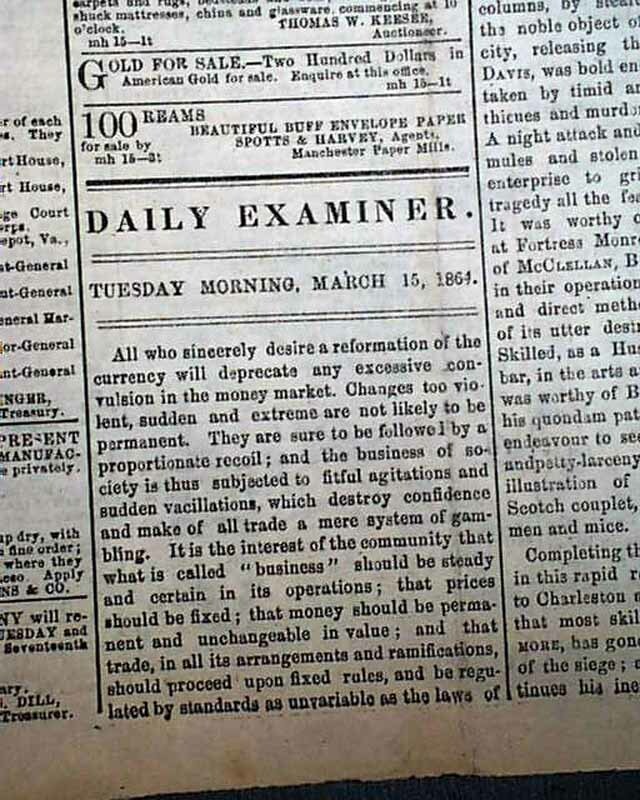 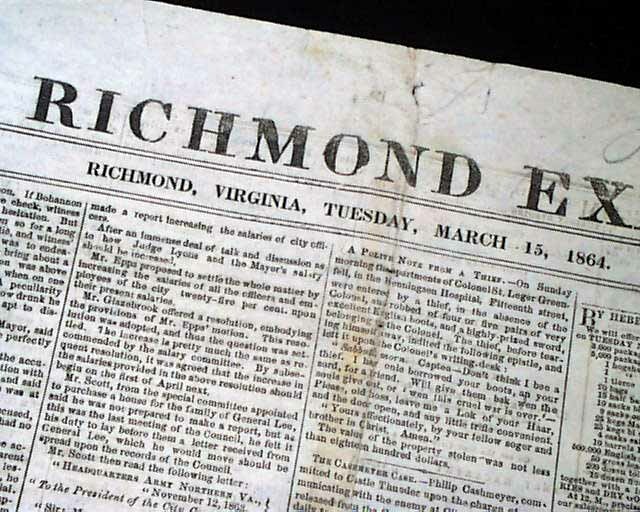 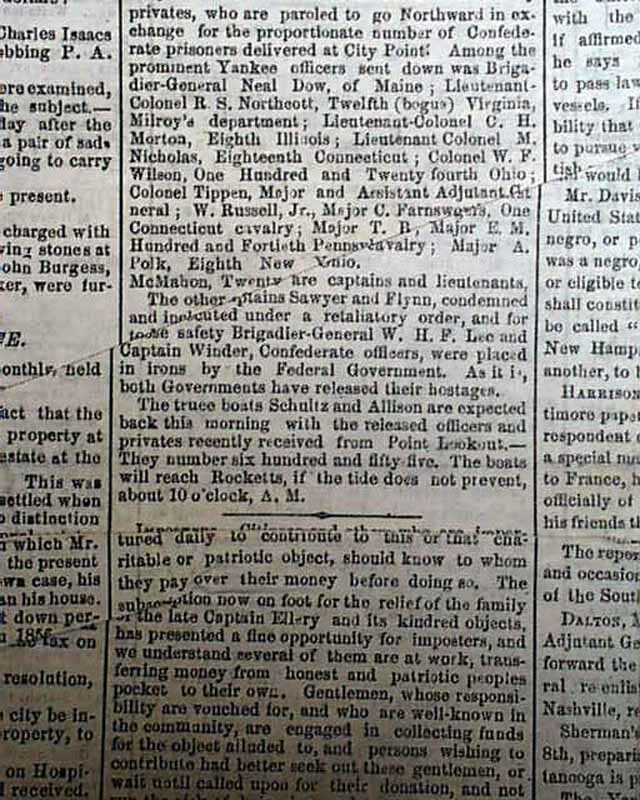 DAILY RICHMOND EXAMINER, Virginia, March 15, 1864 A nice newspaper from the capital of the Confederacy. 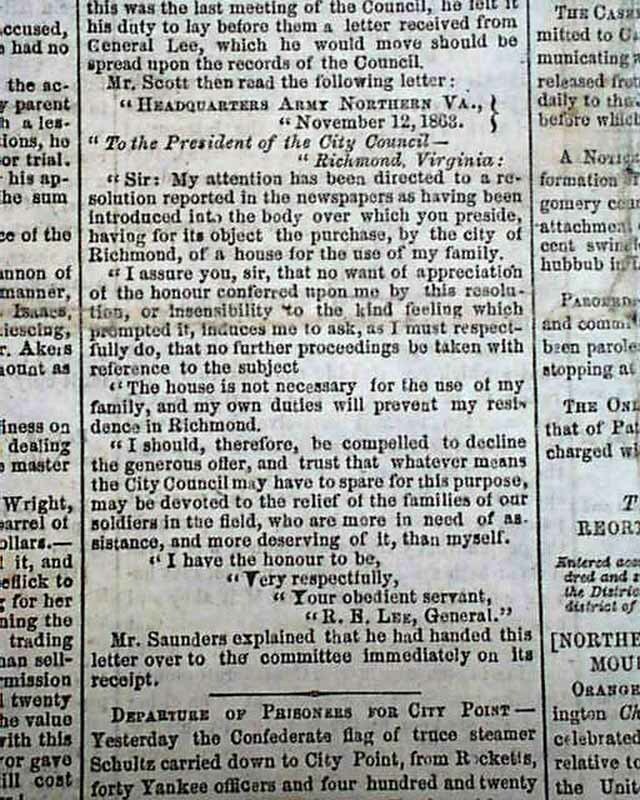 The front page has various war-related items including various "City Intelligence" items including a move to purchase a house in Richmond for the family of Robert E. Lee, followed by his letter of thanks but declining the offer, signed by him in type: R. E. Lee, General. 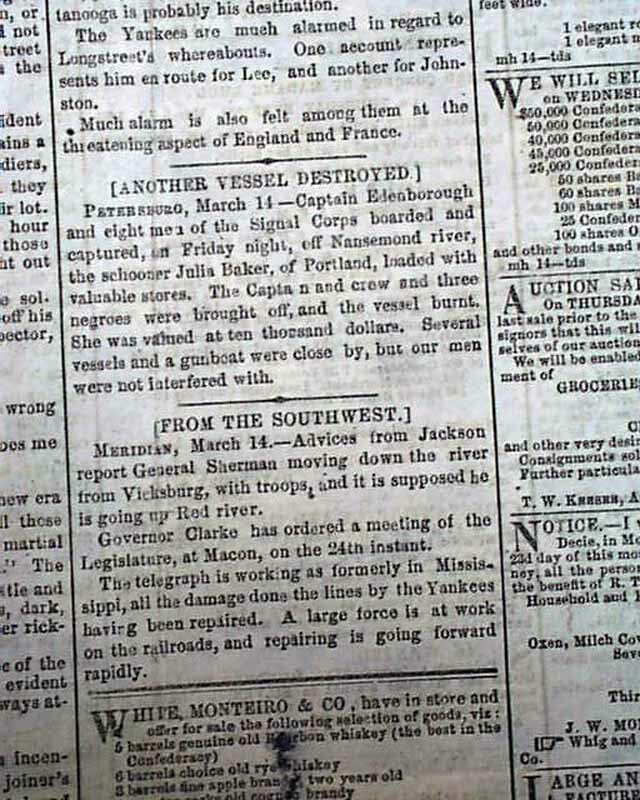 The back page is taken up by a lengthy editorial, as well as various notices and advertisements. 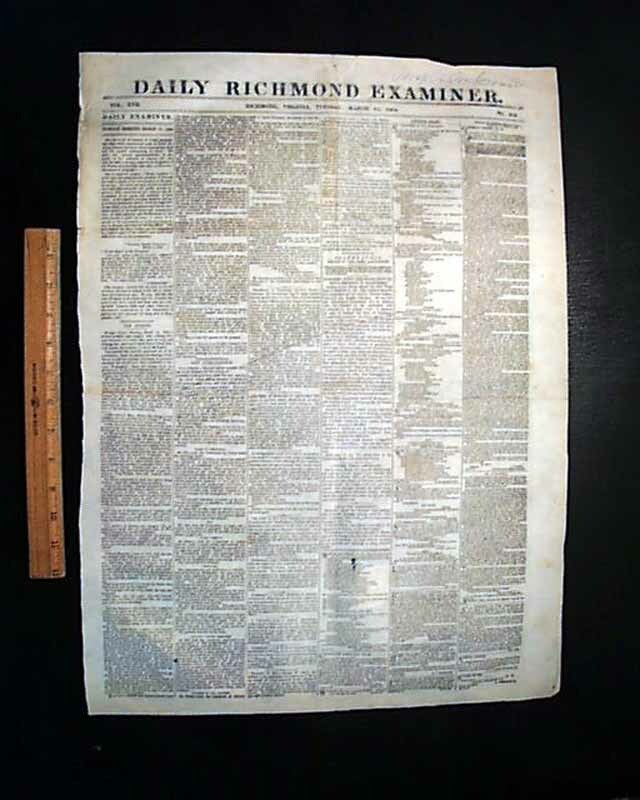 Complete as a single sheet newspaper in nice condition.